Think you have the fears of the last Nightmare Pack under control? Well, now you'll have to contend with another five fresh ones in 1.5.0! So, what's in store for your train and its passengers? Witches: No matter what you do, you can't heal your wounds. Buried: The train is your coffin. Spirits: Fallen comrades come back to life. Wasps: An experiment gone wrong. Snakes: Why'd it have to be snakes? 1.5.0 also comes with a new loss condition: Stranded. As of this update, the train starts with just three beacons. If you use them all and run out of both passengers and fuel, it's game over. Don't worry, if you prefer the old way of doing things, a new modifier is available that provides unlimited beacons. For users with less powerful system configurations, we've added a low-quality lighting mode, which can be set in the Graphics options. This should provide a healthy framerate boost, at the expense of visual fidelity. We've also tweaked a few balance dials behind the scenes. The biggest change is that engine upgrades now boost the train's speed. However, damaged carriages will slow you down. To help you keep track of these bonuses and penalties, a new card with all the information you need has been added to the route plotting notepad in the front cabin. Finally, hungry passengers will last longer before perishing and upgrades at higher tiers now require more time to complete. Added: Five new fears: Witches, Buried, Spirits, Wasps and Snakes. Added: "Stranded" loss condition. As of 1.5.0, the train starts with three signal beacons instead of an unlimited supply. Once these are expended and the train has no fuel and no passengers, the game will end in a loss. Modifiers are available for custom engineers to alter the beacon limit. This change does not affect games currently in progress. Added: A card on the route plotting notepad that show the bonuses and penalties currently affecting the train's speed. Added: Lighting Quality graphics option. This changes the rendering pipeline from deferred shading to deferred lighting, which results in a loss of lighting fidelity, but can substantially improve performance on low-end systems. Note that on the "Low" setting, directional occlusion is replaced with ambient occlusion. Added: A detailed explanatory note regarding fear attacks now appears after the first such event. Players will find it positioned near the bed. Added: Ambient noises from the first carriage can now be heard in the Engineer's cabin. Added: Epilogue text is now exported when the game ends. On Windows, epilogues are stored in "My Documents\Fear Equation\Epilogues". On OS X, epilogues can be found in "Users/<USERNAME>/Documents/Fear Equation/Epilogues", where "<USERNAME>" is your OS X user name. Balance: Increased the time it takes to complete upgrades at higher tiers. Balance: Engine upgrades now increase the train's speed, but damaged carriages now reduce speed. Balance: Fear defense effectiveness is significantly reduced when the train occupies the same sector as a Fearless unit. Balance: Hungry passengers now live longer. Tweak: Mission equipment -- by default, all are drawn from lottery carriages; added modifier to allow mission items to be drawn from any carriage. Fixed: OpenGL platforms now use Fast Approximate Anti-Aliasing (FXAA) instead of Subpixel Morphological Anti-Aliasing (SMAA) due to ongoing rendering issues. Fixed: Carriages containing passengers with a desired power setting of zero will always be set to low power when the train is refuelled after a "power out" event. Fixed: Incorrect gender pronouns sometimes appearing on messages. Fixed: Technology and Passenger concerns were not being calculated correctly. Fixed: Cargo items not being saved correctly, resulting in items changing when loading a game. Fixed: A few workarounds to try and fix sound issues on some systems. Fixed: Randomly-generated passengers not having portraits assigned properly. Good news Engineers, Fear Equation has been updated to version 1.3.3! The major highlights of this patch are Steam achievements -- 25 in fact -- Twitch integration and several critical bug fixes. Twitch integration allows players to enter a Twitch channel via the Options menu and passenger names will be generated using usernames found in the channel's chat. It also enables random custom passenger generation via the Custom game screen, using chat usernames. The rest of the update consists of bug fixes, interface tweaks, performance optimisations and various other improvements. Added: (Steam only) 25 achievements. 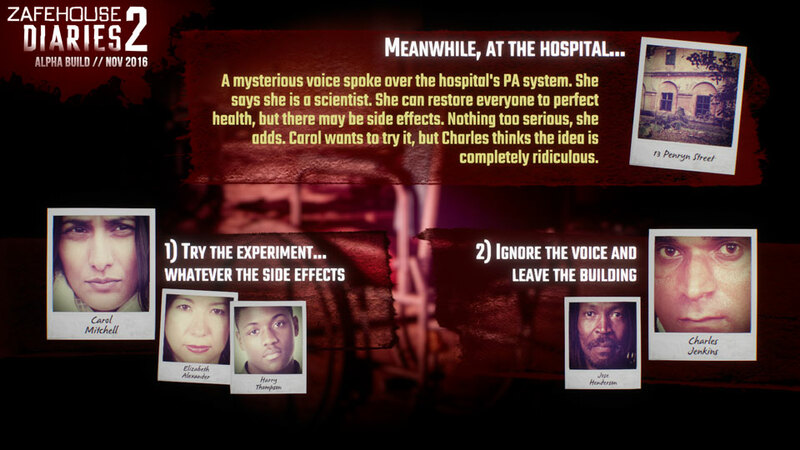 Please visit the Fear Equation Steam page for a full list. Added: Twitch integration. To enable, select Options -> Twitch Settings from the main menu and enter a valid Twitch channel name. If the channel is found, passengers will be generated using chat usernames. You can also create random passengers from chat users in the Custom game screen. Added: Two new graphics options for high-end PC: Real-time reflections and an "Ultra" mode for directional occlusion. Added: A message on the main menu screen explaining that saving is only possible during the Lottery phase. Added: Resolution support for 1280 x 1024 screens. Balance: Rescued survivors no longer have an immediate effect on dreams. Balance: Fuel consumption has been reduced by 20%. Balance: Reduced the radius bonus of the level II radio upgrade. Tweak: On Windows, custom portraits can now be placed in "My Documents\Fear Equation\UserPortraits". Tweak: Pressing spacebar (or return) now confirms an order duration. Tweak: Fear attack jump points now provide a better view out the cabin windows. Tweak: Increased the font size of dream notes and the dream folder is now docked closer to the player camera. Tweak: Reduced the intensity of red text on the route planner. Tweak: The cursor on the in-game computer is hidden while a Hail Mary or beacon is running. Tweak: Once a mission order is confirmed, the status bar will return to the passenger selection menu. Tweak: Defenses now have a different outline to regular cargo items. Tweak: It is no longer necessary to zoom into the computer to read a message capsule or turn the radio on/off. Tweak: Cargo items now have a highlight when moused over. Tweak: Slightly increased the player's keyboard turning speed. Tweak: Radio and mission transcripts on the computer are now read automatically when you move through them with the up/down arrow keys. Fixed: Several fixes to message system to prevent "floating" capsules. Fixed: Fuel estimate inconsistency after plotting a route. Fixed: Passenger radar dots were sometimes not scaled properly. Fixed: It's no longer possible to click "through" the route planner and manipulate the train controls. Fixed: A rare error when distributing items during world generation. Fixed: A workaround for a visual issue on Mac OS X at game start. Fixed: The fog light now turns off when the fog level is low. Fixed: A number of issues with saving and loading games. Fixed: A number of issues with abandoning and then starting a new game. Fixed: Workarounds for custom portraits not working correctly on lower-end systems. Fixed: Carriage console power bars are now more accurate. Fixed: A contradiction in the train manual relating to phase start and end times. Fixed: Dead VIPs causing problems with the player's modifier card stack. Fixed: Projection wheel dot positions and sizes not updating to match the wheel mode on page turn. Fixed: Keyboard location panning is disabled when the order duration dialog is visible. Fixed: Clicking "Confirm" on the order duration dialog no longer makes the location view snap around. Performance: Many optimisations to reduce CPU workload, memory usage and intermittent stuttering. Faction and skill filtering: We know it's not the easiest of tasks to properly rig the lottery, so you can now change the projection wheel to sort passengers by their best skill. The bigger the passenger's dot on the wheel, the better skilled they are. This filtering includes a mode for train skills, so finding a doctor, mechanic or other specialist is simpler also. Mission planning adjustments: Firstly, the "Set duration" dialog now shows a dynamic time estimate, so you no longer have to finalise the order to see how long it'll take to complete. Secondly, a detailed analysis is available on the computer's LOC mode, providing useful information about the currently selected location. Accessibility, time window bonuses, size and other tidbits are available to help you better plan your missions. Engine power and missions: Turning the engine off and switching over to your battery now directly extends the amount of time your passengers can spend on missions. Check the new analysis on the LOC screen to see how many more seconds you can spend in the fog. In addition, the amount of power going to your carriages now affects how long your battery will last. Chaos changes: Chaos is now significantly affected by deaths related to scavenging missions or power outages. Not only do these deaths increase the chaos level in the affected carriage, but they also affect other carriages. To compensate for the increased difficulty, giving excessive orders to a carriage now has a minor influence. Cargo order tweaks: We identified a few places where managing your train's cargo wasn't as streamlined as it could be. Along with being able to click directly on cargo to display the order, you can now move cargo out of a carriage, even if there's no one inside. We've also made small changes here and there to improve issuing orders overall. And those are just the big ticket items. v1.2.1 is overflowing with updates, check them all out below. Added: The projection wheel featured on each page of the carriage notebook now supports three modes: Faction (default), Train Skills and Mission Skills. The Faction mode is the one current players are familiar with, while Mission Skills and Train Skills will sort passengers by their most dominant skill of that type, with their dot size reflecting their proficiency. This should make it much easier to rig the lottery and move specialists, such as doctors, between carriages. Added: When placing a mission order, a dynamic time estimate now appears in the "Set duration" dialog. Added: The computer LOC mode now features an analysis section, which provides more detailed information about the currently selected location. Balance: Slightly increased the amount of fuel retrieved on Hail Mary runs. Balance: Slightly increased the amount of all resources in the world. Tweak: It is now possible to transfer cargo from an empty carriage, as long as the destination contains a passenger. Tweak: The high, medium and low buttons on the two primary power units now only affect carriages with passengers in them. Tweak: Increased the minimum cinematic intensity of fear attacks. Tweak: Clicking on a cargo object during the orders phase will automatically bring up the cargo order card. Tweak: The dream log and carriage notebook can now be closed by clicking "off" them with the mouse. Tweak: It is now possible to directly click on carriage units containing no passengers to show the carriage notebook. Tweak: The passenger transfer and cargo order cards now remember the last destination carriage selected. 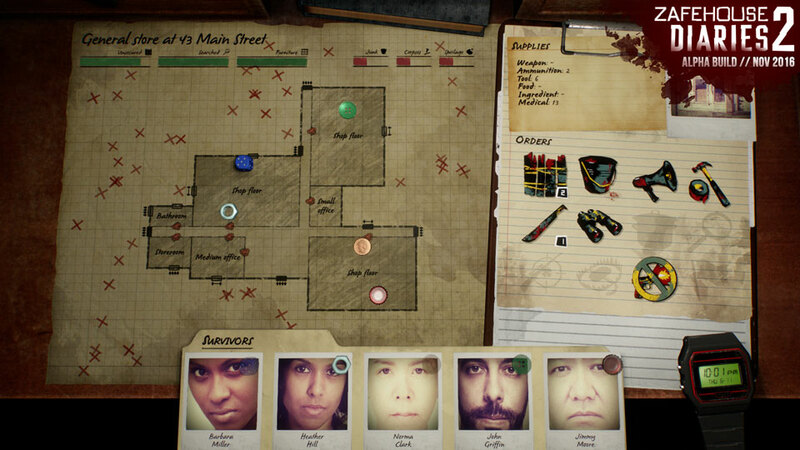 Tweak: Purges and revolts now provide more information about how the uprising unfolded. Tweak: Purge chance has been reduced. 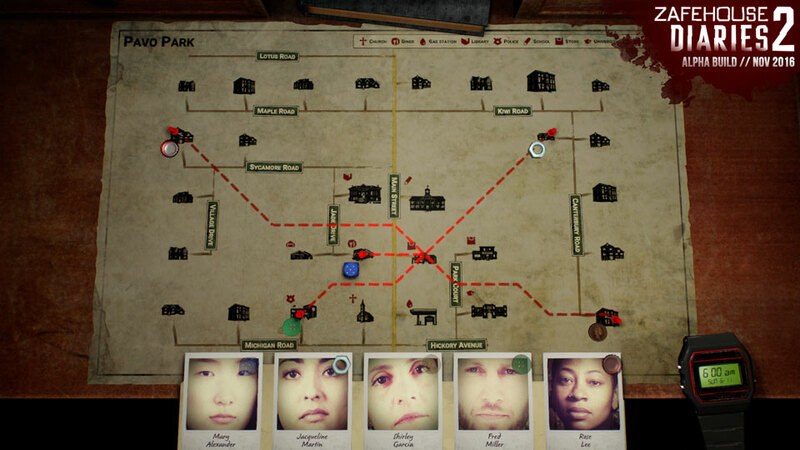 Tweak: Unclaimed survivors do not scatter among empty carriages after a scavenging mission. Fixed: A bug resulting in excessive save and load times. Fixed: An issue with the post-it note on the Custom Game screen. Fixed: The string that denotes radio radius on the map should be less glitchy with larger ranges. Fixed: Power buttons on carriage units would sometimes be hard to click. Fixed: An issue where the mission debrief would not update properly until interacted with. Fixed: The mission debrief now lists fuel recovered. Fixed: Camera controls are now disabled while viewing the mission debrief. Fixed: A transparency issue with cargo slots formerly containing food. Fixed: Inconsistent input issues when attempting to click on cargo objects. Fixed: The carriage console manual can no longer be picked up while viewing the notebook. Fixed: The radio no longer auto-tunes to / from the mission channel when switched off. Fixed: The capsule flush lever can no longer be pulled from places other than the middle section. Fixed: The Force Repairs order card no longer appears in carriages with no passengers. Fixed: Breach penalty modifier is no longer classified as a positive modifier. Fixed: Some instances of incorrect grammar with mission radio chatter. Fixed: A few graphical issues related to fonts on Intel GPUs. Fixed: Rescued survivors no longer rush toward scavengers at the start of a mission. Performance: Optimisations to assembly generation. Performance: The passenger dossier no longer updates erroneously, which was reducing performance while the carriage notebook was open. 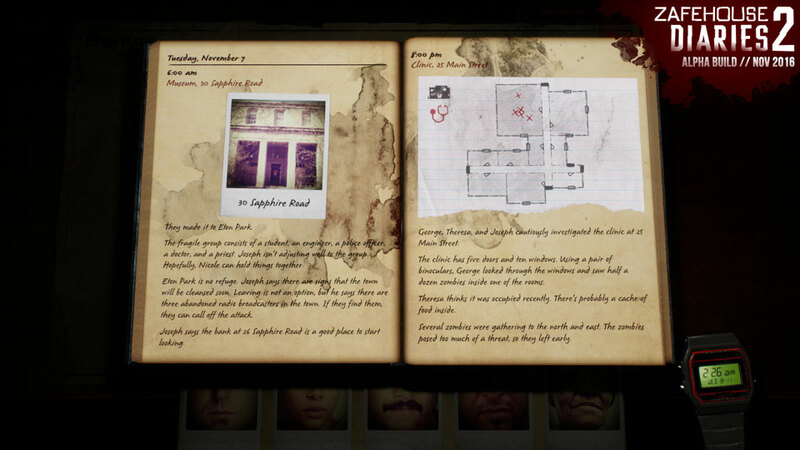 A new update is available for Fear Equation, bringing the game to v1.1.1. This patch deals primarily with bugs affecting the current release, however, we have added a few new things to help you in your endeavours, such as marking previously searched areas on the map. Added: Completely and partially searched towns and areas are now marked on the map. If all locations have been searched, the town / area will have a cross through it. If partially searched, it will have a single stroke. Searched locations are now also struck through on the route plotting notepad. Added: Carriage console manual now contains symbols and blurbs for defenders, detractors and neutrals. Fixed: A problem with new passenger allocation after missions. Fixed: Several issues with leadership changes in carriages. Fixed: Extra checks to prevent sound from popping / turning off unexpectedly. Fixed: Extra checks to prevent blank passenger photos. Fixed: Extra checks for issues with Fearless / military movement. Fixed: A problem with the timing of message capsule reports. Fixed: On rare occasions, a passenger could be assigned the wrong portrait. Fixed: Food consumption rate in the carriage console manual was incorrect. Fixed: Message capsules cannot be opened anywhere but the middle section of the cabin. Fixed: Carriage numbers on order cards for passenger and cargo transfers will be disabled for carriages that are full. Tweak: The passenger dossier now closes automatically after completing a passenger transfer. Tweak: Passenger dots on projection wheels are now slightly closer to centre.